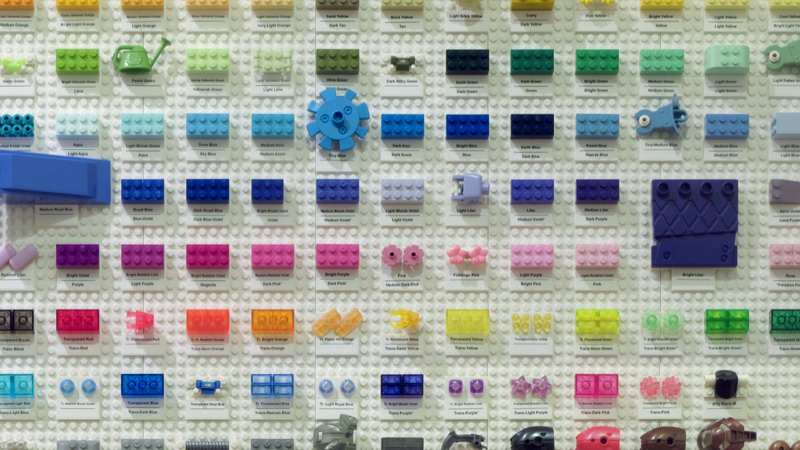 LEGO enthusiast Jeremy Moody made a huge chart that, like a periodic table, features all the different colors LEGO has ever produced. Here’s the full pic below in hi-res. There are 182 different pieces. And no matter how the LEGO piece looks, if it has a unique color, it’s right there on the chart. Must have been a hell of an adventure to collect them all. Some elements might be pretty common, but most are only available in small quantities or were only part of some old set decades ago and are really hard to find these days.